Guigal's mastery of growing and producing white wine varieties in the Rhône Valley is exemplified in this wine of immense breadth and power, elegance and expression. Intensely aromatic nose of white flowers, citrus and a touch of vanilla, on the palate the presence is undeniably penetrating, with a deep minerality joining the notes above. The realization of the Guigal family's dream of Châfteauneuf-du-Pape: 3 extraordinary vineyards coming together in an intensely expressive, utterly complete wine. The second white wine to the Château de Nalys Grand Vin Blanc has a character all its own, with a strongly different varietal and plot composition, and like its red Saintes Pierres counterpart, a fermentation, and aging geared towards emphasizing freshness. The hallmark seamlessness of Guigal's white wines is especially evident in this wine, which is unlike any Châteauneuf white we have experienced in its grace and lift. 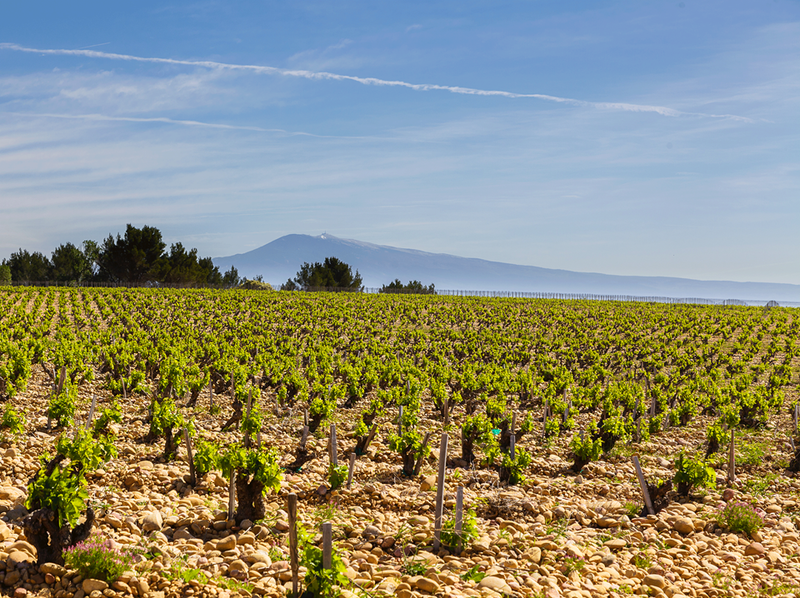 Translated as "holy stones", a play on the soils and history of Châteauneuf-du-Pape, the second red wine to Château de Nalys is an altogether different animal. Differing varietal and plot selections, fermentation, and aging result in a wine that is rich and ample, yet offers immense direct and approachable pleasure; a wine of red fruits, supple structure and brightness.